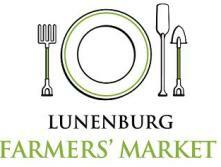 Find us at the Lunenburg Community Centre, off Victoria St.
Operating for over 25 years, our Farmers’ Market is a vibrant gathering place. It is common to see people lingering to chat with vendors and friends. This market has a real sense of community. We have a wide range of vendors, and products. All local, all fabulous: plants, vegetables, fruits, baked goods, floral arrangements, smoked and fresh meats and fish, organic produce, hand sewn and knitted items, honey, preserves and more! Come visit us on Thursdays!